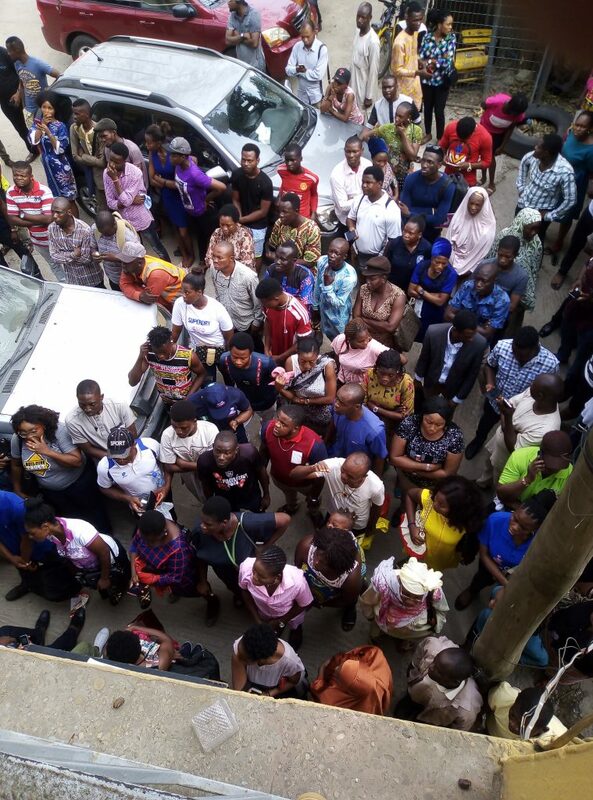 As expected, Lagos is agog with a last minute mad rush by eager Nigerian citizens for Permanent Voter’s Cards. Trust many Nigerians, they would not go out for things until it gets to deadline hours. That’s exactly what is at play today at various collection centre’s across Nigeria. 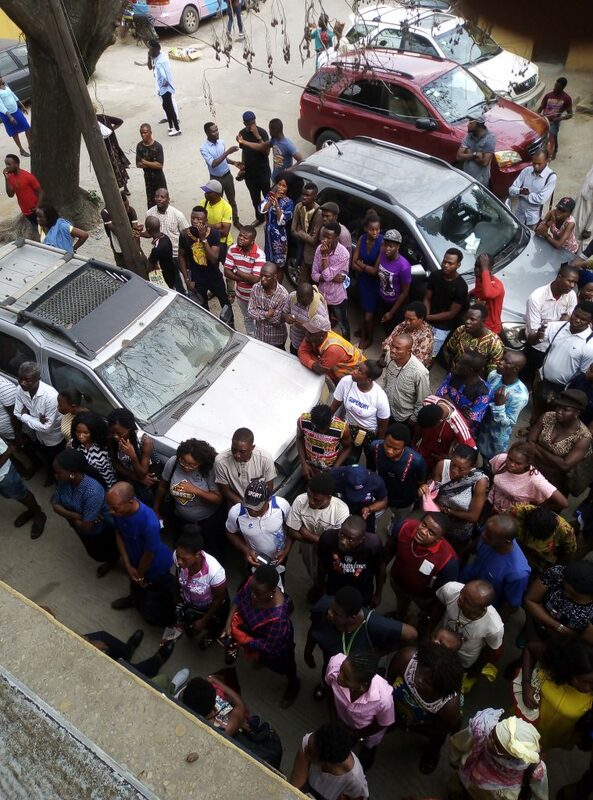 It’s indeed a mad rush for the cards without which no prospective voter can exercise his or her civic rights. 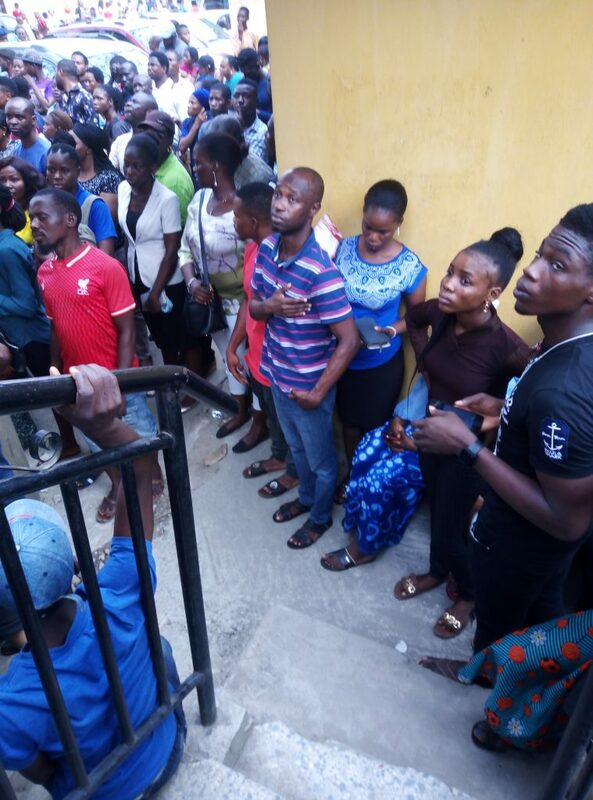 When our correspondent visited the IKEJA Local Government collection Centre this morning, it was indeed battle royale as officials struggled to control the surging crowd. 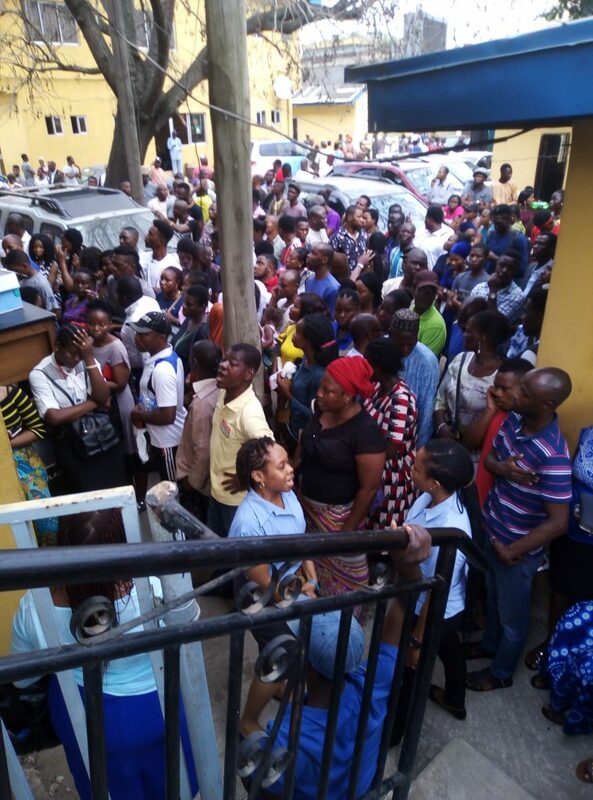 The situation was at best rowdy and it took the extraordinary professionalism of the LG staff to forestall potential breakdown of law and order. 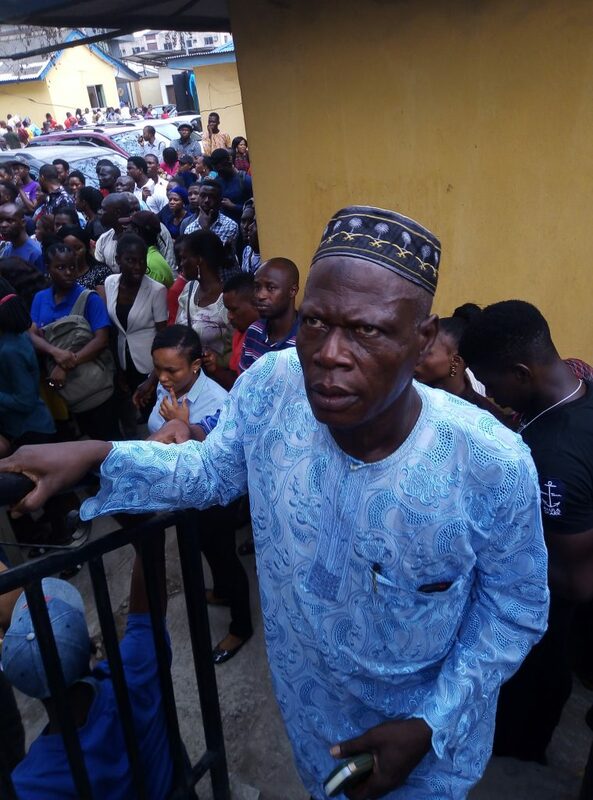 Meanwhile our correspondent overheard some frustrated citizens wondering if they’d ever have a chance to vote with the kind of situation they met at the collection Centre.